Daruka Minerals is a professionally managed enterprise actively engaged in the supplying of Mica Minerals. 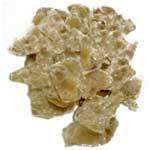 We are a prominent manufacturer and exporter of Mica Powder, Mica Flakes and Mica Scrap. Our products are scientifically processed and thus are very effective in their uses and performance. Owing to our manufacturing expertise and in- depth knowledge of the field, we have been able to establish ourselves as a reliable entity in the international market. Total customer satisfaction is the sole motive of the company. We are committed to offer quantitative products to the clients. Our transparent working ethics and compliance to customer centric approach has enabled us in serving the best products to the esteemed patrons. Precisely for these attributes, we are today acknowledged among the credible White Mica Powder Manufacturers and reliable Mica Rocks Exporter in India.